SINGAPORE (Nov 27): Macquarie Research believes the Singapore property sector is headed for an upcycle, with residential property prices expected to rise by 3-5% per annum over the next two years. According to Ang, residential sales volumes have jumped 54% to 8,702 units in 9M17 compared to a year ago, driven by growth in the mass-market segment due to heightened expectations that the residential market is bottoming. In addition, the near-term supply of new homes have declined to about 7,000 unit currently, falling from a peak of approximately 22,000 units in 1Q15. “This is a strong signal for pricing power in favour of the developers,” Ang says. However, he opines that the increase in residential prices will be unlikely to trigger further cooling measures by the government as the price rise will be tempered by supply from government land sales and en bloc project sales totalling 17,000 units. Among the Singapore property developers, Macquarie highlights CapitaLand and City Developments (CDL) as its top picks. CapitaLand is expected to see its share price driven upwards by higher dividends and recurrent income growth. According to Ang, some 85% of CapitaLand’s assets produce recurrent income. CapitaLand reported a 28.1% rise in 3Q earnings to $317 million, bringing 9M earnings up 68.9% to $1.3 billion. 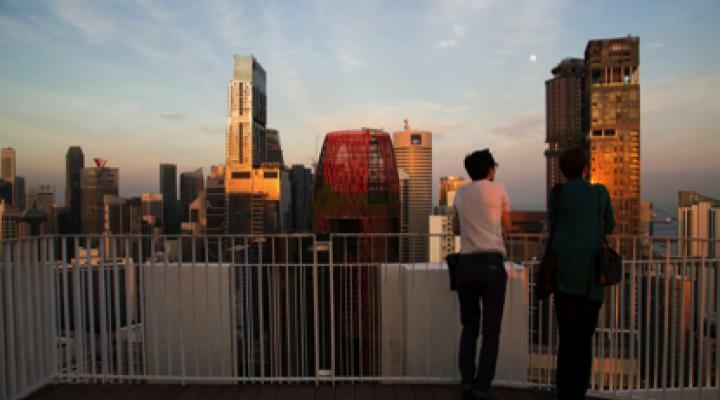 Revenue in 3Q rose 9.7% to $1.5 billion, led by higher contribution from development projects in Singapore. Macquarie has an “outperform” rating on CapitaLand with a target price of $4.50. As at 4.02pm, shares of CapitaLand are trading flat at $3.57, implying an estimated price-to-book ratio of 0.83 times and a dividend yield of 3.4% in FY18. Meanwhile, Macquarie believes that CDL will be the biggest beneficiary of a Singapore residential upcycle as it has the highest exposure to the market.